California is well behind the curve on groundwater regulation. With a few exceptions, groundwater extraction has never been regulated in the state or even monitored with any precision. However, a 2014 law, the Sustainable Groundwater Management Act (SGMA), at last will require groundwater basins in the state to reverse longstanding overdraft problems. Major parts of San Francisco Bay’s shoreline are slowly sinking, a new scientific study has found, dramatically increasing the risk of billions of dollars of flooding in the coming decades as sea level rise continues due to climate change. Results of a survey designed to forecast the creep of seawater’s advance toward inland Mid-County freshwater aquifers show a looming threat, Soquel Creek Water District leaders heard Tuesday. In this episode of Deeply Talks, Tara Lohan, Water Deeply’s managing editor, speaks with Philip Bachand, a water engineer and founder of the environmental engineering firm, Bachand & Associates; Daniel Mountjoy, the director of resource stewardship at Sustainable Conservation; and Don Cameron, vice president and general manager of Terranova Ranch, about recharging groundwater and the crucial role that farms can play in this important effort. On Feb. 26, the farmers will make a pivotal decision: whether or not to tax themselves about $14 million over 30 years to build a new delivery system. Thursday, the League of Women Voters, the North San Joaquin Water Conservation District and county officials will host a public meeting to explain all of this at 6 p.m. at Jackson Hall, on the Lodi Grape Festival grounds. The Lahaina Wastewater Reclamation Facility, on the Hawaiian island of Maui, pumps 3 million to 5 million gallons of treated sewage a day down four wells on its property. Once underground, the water does not stay put. It seeps through porous lava rock and then flows into the Pacific Ocean, a half-mile to the southwest. When the Water Replenishment District of Southern California located a 30-year supply trapped between the ocean and an aquifer, it was like a prospector finding gold. … A pilot project that began in 2002 proved new technology could turn brackish water into drinking water. There’s a $300 million problem with a major piece of water infrastructure that threatens the future of Kern County’s bountiful and profitable crops. Constellation Brands, maker of Modelo and Corona beers, finds itself in the crossfire of a bitter dispute. On one side are government officials who are vowing to see the project through; on the other, opponents determined to shut it down, saying the plant will use a large amount of water that should go to local farmers. California’s sweeping effort to regulate groundwater extraction is still in its infancy. But many community groups are already concerned that too little is being done to involve low-income and disadvantaged residents in managing aquifers dominated by agriculture. The Sustainable Groundwater Management Act, adopted in 2014, was a Herculean achievement for California. Garry Holiday grew up among the abandoned mines that dot the Navajo Nation’s red landscape, remnants of a time when uranium helped cement America’s status as a nuclear superpower and fueled its nuclear energy program. It left a toxic legacy. … Mining tainted the local groundwater. A 20-mile portion of one of the Valley’s largest waterways is sinking. It’s getting worse each month and while the water levels drop, the price tag rises. Earlier this year, the Friant Water Authority reported measurements that showed a nearly 3-foot drop in the Friant-Kern Canal’s elevation in some places. The state’s water conservation districts don’t need the approval of property owners or voters to charge their customers fees to fund programs aimed at protecting groundwater, the California Supreme Court ruled on Monday. For as long as agriculture has existed in the Central Valley, farmers have pumped water from the ground to sustain their livelihood and grow food consumed by much of the nation. This has caused the ground in certain places to sink, sometimes dramatically, eliminating valuable aquifer storage space that can never be restored. The damage by subsidence extends to the California Aqueduct, the 700-mile artificial river that conveys water from Northern California to the valley and beyond as the principal feature of the State Water Project. The joint ground-mapping pilot project is designed to help Soquel Creek Water District and the County of Santa Cruz locate sandy soil areas to install collection basins and dry wells for easier passage for stormwater runoff to return to underground aquifers. During California’s five-year drought, the row of ponds in the desert north of the Palm Springs often lay empty and dry. But this year, the ponds have been filled to the brim with a record amount of water from the Colorado River. The Coachella Valley’s water utilities are using the influx of imported water to chip away at the long-term problem of groundwater overdraft. If you want a new well in California, you might have to let your neighbors know how much water you plan to pump. That’s if it’s tapping a critically overused aquifer, and if a bill on Gov. Jerry Brown’s desk survives calls for a veto. Ten states from Nevada to Texas have weighed in to support two water agencies in their fight with an Indian tribe over control of groundwater in the California desert. Now, a private company wants to use the pits for a $2-billion hydropower project. The plant, proponents say, would help boost renewable energy use in Southern California and lower greenhouse gas emissions. But park officials fear the hydropower project could draw down local groundwater levels and harm wildlife. Friday’s Top of the Scroll: How much drinking water has California lost to oil industry waste? California survived its historic drought, in large part by using groundwater. It was a lifeline in the Central Valley, where it was the only source of water for many farmers. California regulators are charged with protecting that groundwater, but for years they failed to do so. California was one of the last states in the West to pass a law to manage groundwater. Gov. Jerry Brown signed the Sustainable Groundwater Management Act into law in 2014. Stanislaus County will try a new groundwater treatment system to keep the former Geer Road landfill from polluting the Tuolumne River and nearby wells. The county will pay a Southern California contractor $1.74 million to build the groundwater extraction and treatment equipment at the old landfill on the north side of the Tuolumne River, about a mile northeast of Hughson. Groundwater replenishment happens through direct recharge and in-lieu recharge. Water used for direct recharge most often comes from flood flows, water conservation, recycled water, desalination and water transfers, according to DWR. The SGMA [Sustainable Groundwater Management Act] is now kicking into gear as its first major deadline arrives: By June 30, counties and regional water managers must form “groundwater sustainability agencies,” or GSAs – the task forces that will eventually be responsible for developing their own sustainable groundwater use plans. Districts that fail or choose not to create a GSA will be subject to intervention by the State Water Resources Control Board. A rush-hour delay caused by flooded tracks at the Powell Street Station in San Francisco — in the middle of summer — points up a BART issue that doesn’t get nearly the attention that overcrowded trains, finicky air-conditioning and the seemingly daily “equipment problems” command: a steady supply of subterranean water. 1. It’s Probably Not the One You’re Thinking Of. Nope, not Shasta Lake. … You’re not likely to find the biggest “reservoir” on a map—but you might be standing on it. Vickie Mulas, a partner in her family’s Sonoma Valley dairy and vineyard operations, is no friend of regulations. … But Mulas, a member of a prominent local ranching family, relishes her role in California’s newest round of rule-making that will — in an unprecedented departure from past practice — put limits on how much water people can pump out of the ground. The Agua Caliente Band of Cahuilla Indians’ 4-year-old legal fight to assert rights to groundwater took a step forward on Wednesday as a federal judge agreed to let the lawsuit proceed while water agencies appeal an earlier ruling to the Supreme Court. California farmers have long been able to get permits to drill new wells in areas where groundwater levels are falling without publicly saying how much water they intend to pump. That would change under a bill approved this week by the California Senate. The massive scale of California’s groundwater pumping is outlined in a study released Wednesday by researchers at UCLA and the University of Houston. The researchers conclude that California’s pending groundwater regulations remain woefully behind what is necessary to bring the state’s groundwater levels back into balance. A new nationwide study has unearthed the huge hidden potential of tapping into salty aquifers as a way to relieve the growing pressure on freshwater supplies across the United States. Digging into data from the country’s 60 major aquifers, the U.S. Geological Survey reports that the amount of brackish — or slightly salty — groundwater is more than 35 times the amount of fresh groundwater used in the United States each year. Knee-high tufts of grass dot the streets of Hardwick, a rural neighborhood with a few dozen homes hemmed in by vineyards and walnut and almond orchards in California’s agriculture-rich San Joaquin Valley. The water spread into every corner of the fields, beckoning wading ibises and egrets as it bathed long rows of sprouting grapevines. Several inches had covered the vineyard ground for a couple of months. But rather than draining it, Don Cameron was pouring more on. In a key ruling released Monday, a judge slammed the Oakdale Irrigation District for skirting state law in last year’s fallowing proposal. The district should have studied whether shipping river water elsewhere might harm local groundwater levels, Stanislaus Superior Court Judge Roger Beauchesne said in a decision issued nearly 11 weeks after a one-day trial in January. It’s a race against time this spring as water roars out of Central California’s dams and rumbles its way to the lowest-lying areas of the western San Joaquin Valley, communities where land is collapsing and water channels are growing more unstable. State engineers are generating new maps to understand where water is stagnating in spots it once flowed freely, and to learn which communities are in the most danger of flooding. The city of Vacaville is facing pressure to clean up its water supplies after an environmental group sued this week over the amount of chromium-6 in groundwater. … Vacaville is among several California cities that have been wrestling with the carcinogen since 2014, when the state adopted the nation’s first chromium-6 rules. Mineral rights and royalty owners have filed a new lawsuit against Monterey County, challenging voter-approved Measure Z, which establishes some of the nation’s toughest restrictions on oil and gas operations in the state’s fourth-largest oil-producing county. … Hydraulic fracturing, or fracking, and wastewater injection into aquifers will still be prohibited during the stay. A federal appeals court sided with the Agua Caliente Band of Cahuilla Indians on Tuesday in a landmark water case, upholding a ruling that the tribe has federally established rights to groundwater in the Coachella Valley. San Francisco’s famously pure High Sierra water is about to be served with a twist. Starting next month, city water officials will begin adding local groundwater to the Yosemite supplies that have satiated the area’s thirst since the 1930s and made the clean, crisp water here the envy of the nation. As storms hit California and the Sierra Nevada snowpack keeps building after years of punishing drought, water managers on the San Joaquin Valley floor are replenishing groundwater supplies while the getting is good. The Monterey County Board of Supervisors on Tuesday unanimously approved a letter to the California Department of Conservation expressing their concerns about a proposal to expand the boundaries of an aquifer where oil-production wastewater is being injected. January’s heavy rains are erasing years of extreme drought in many areas of California, when it comes to the state’s surface supplies of water. While some farmers lament the release of thousands of acre-feet of water from Friant Dam, others are putting it to good use: recharging groundwater supplies. Last week, the U.S. Bureau of Reclamation began releasing water from Millerton Lake to make room for a deluge of storm runoff. Amid greater scrutiny of oilfield contamination threats to California’s groundwater, state officials will hold a hearing Wednesday on a proposal to expand the aquifer area where a Livermore driller is permitted to dispose of oily wastewater. Cadiz Inc. has raised more than $9 million in a public stock offering held Thursday, said Andy Moore, president of B. Riley & Co., of Los Angeles, which underwrote the offering on the NASDAQ Global Market. Three environmental and community-based groups have given their notice of intent to appeal a federal court’s ruling allowing a subsidiary of Nestlé to continue to remove millions of gallons of water annually from the San Bernardino National Forest. Next year, a new California law will revolutionize how the state manages its groundwater. … There is an entirely different category of California groundwater, however, that is exempt from SGMA [Sustainable Groundwater Management Act]. These are the “adjudicated” groundwater basins, so-called because the rules for managing them has been decided in a court of law. Four months ago, the Coachella Valley Water District’s managers approved a plan they described as their costliest infrastructure project ever: the construction of small water treatment plants at nearly a third of the district’s 92 wells. Lawyers for the Coachella Valley’s largest water districts and the Agua Caliente Band of Cahuilla Indians presented their arguments to a federal appeals court in a water rights case that could set a precedent for tribes across the country. Manteca-area farmers voted this week to oppose a state proposal to permanently allow more water to remain in the Stanislaus River to protect fish. … The State Water Resources Control Board says river flows would increase from roughly 20 percent to perhaps 40 percent on the Stanislaus, Tuolumne and Merced rivers combined. Friday’s Top of the Scroll: Klamath Basin farmers were paid $32 million to pump and not farm. Was it a waste of money? In a move that could have ramifications across the arid West, a government watchdog agency accused federal water regulators of wasting taxpayer funds when they gave Klamath Basin farmers more than $32 million to stop growing crops and to pump groundwater instead of drawing from lakes and rivers. A fight over groundwater in Siskiyou County is going to voters next month as Measure H, which if passed would require companies to get permits to commercially bottle groundwater. The U.S. Environmental Protection Agency will investigate groundwater contamination from industrial operations in Orange County’s north basin in a study that is expected to take up to two years and cost $4million, the agency announced Wednesday. The U.S. Environmental Protection Agency today [Oct. 5] announced it has reached an agreement with the Orange County Water District to conduct a remedial investigation and feasibility study to address a large area of groundwater contamination in Northern Orange County known as the “North Basin.” The work required by the agreement is expected to take up to two years to complete and is estimated to cost up to $4 million. Sometime in the next few months, lawyers for the state of Mississippi will stand before a U.S. Supreme Court-appointed legal expert, clear their throats, and argue that Tennessee, a neighbor, is stealing water. … It is the first time the Supreme Court has considered a lawsuit that involves the use and distribution of groundwater reserves that lie beneath multiple state boundaries. Gov. Jerry Brown has signed Senate Bill 1262 into law, representing an initial attempt to incorporate groundwater management requirements under the Sustainable Groundwater Management Act into two of California’s water supply planning laws. … SGMA was adopted in 2014 and, for the first time in California, establishes statewide requirements for establishing sustainable groundwater management in all basins designated by the California Department of Water Resources as medium- or high-priority. Drive through rural Tulare County and you’ll hear it soon enough, a roar from one of the hundreds of agricultural pumps pulling water from beneath the soil to keep the nut and fruit orchards and vast fields of corn and alfalfa lush and green under the scorching San Joaquin Valley sun. Runoff is the water that is pulled by gravity across land’s surface, replenishing groundwater and surface water as it percolates into an aquifer or moves into a river, stream or watershed. Sinkholes are caused by erosion of rocks beneath soil’s surface. Groundwater dissolves soft rocks such as gypsum, salt and limestone, leaving gaps in the originally solid structure. This is exacerbated when water is acidic from contact with carbon dioxide or acid rain. Even humidity can play a major role in destabilizing water underground. The United States Geographical Survey (USGS) defines freshwater as containing less than 1,000 milligrams per liter dissolved solids. However, 500 milligrams per liter is usually the cutoff for municipal and commercial use. Most of the Earth’s water is saline, 97.5 percent with only 2.5 percent fresh. Of this water, about 70 percent is confined in glaciers and permanent snow in the Arctic, meaning the remaining available water is accessible after treatment, as potable water. Springs are where groundwater becomes surface water, acting as openings where subsurface water can discharge onto the ground or directly into other water bodies. They can also be considered the consequence of an overflowing aquifer. As a result, springs often serve as headwaters to streams. Potable water, also known as drinking water, comes from surface and ground sources and is treated to levels that that meet state and federal standards for consumption. The U.S. Environmental Protection Agency’s (EPA) National Primary Drinking Water Regulations establish maximum contaminant levels (MCLs) for various contaminants. A federal judge on Tuesday blocked the U.S. Bureau of Land Management from opening more than 1 million acres in Central California to oil drilling because the agency did not properly explore the potential dangers of fracking. Extensometers are among the most valuable devices hydrogeologists use to measure subsidence, but most people – even water professionals – have never seen one. They are sensitive and carefully calibrated, so they are kept under lock and key and are often in remote locations on private property. During our California Groundwater Tour Oct. 5-6, you will see two types of extensometers used by the California Department of Water Resources to monitor changes in elevation caused by groundwater overdraft. 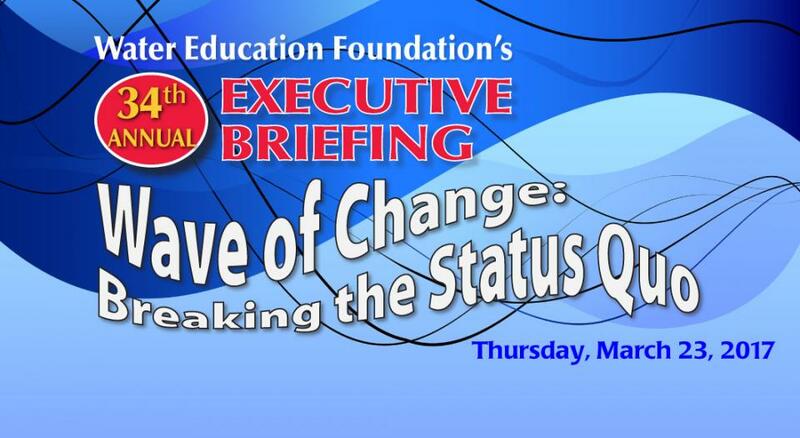 With a theme focusing on “Wave of Change: Breaking the Status Quo,” the Water Education Foundation’s 34th annual Executive Briefing will be held March 23 in Sacramento. The event will examine new approaches to water management, tools to extend supplies, plans to prepare for drought, and the intersection between politics and policy. Alluvium generally refers to the clay, silt, sand and gravel that are deposited by a stream, creek or other water body. Alluvium is found around deltas and rivers, frequently making soils very fertile. Alternatively, “colluvium” refers to the accumulation at the base of hills, brought there from runoff (as opposed to a water body). The Oxnard Plain in Ventura County is a visible alluvial plain, where floodplains have drifted over time due to gradual deposits of alluvium, a feature also present in Red Rock Canyon State Park in Kern County. As of this week, the ban on drilling new wells in Glenn County has expired. … The issue, however, is not entirely dead. Regional groundwater leaders took some necessary next steps this week on the road to groundwater management and sustainability. In less than a year, local water leaders need to decide who will oversee state-mandated groundwater plans. A coalition of environmental groups had worked for more than two years to persuade [Alameda] county leaders to ban fracking and other high intensity oil recovery practices to protect against pollution of local groundwater. The Board of Supervisors approved the ban 5-0. As California regulators plan to set a legal limit on a cancer-causing chemical found in Valley water systems, clean water advocates are urging residents to attend coming public workshops on the issue. This 2-day, 1-night tour travels from the Sacramento region to rural Capay Valley to view sites that explore groundwater, a key resource in California. Examine groundwater monitoring stations where you will learn how this precious resource is measured, tracked and evaluated. Visit local farms and wineries that are mitigating groundwater needs through innovative irrigation techniques. Learn about groundwater contamination and ways to prevent it at a local dairy. Half of U.S. states have a high prevalence of well water that’s corrosive enough to leach lead from pipes, the U.S. Geological Survey said Wednesday. California took a needed and much overdue step in 2014 when it passed the Sustainable Groundwater Management Act (SGMA) to regulate groundwater. The law will take decades to implement, but the first steps of the process are already underway. The Central Valley has been hit hard by the long-running drought. La Niña has failed to deliver the relief everyone was hoping for, but researchers at Stanford have discovered what could be good news for the region and for the state. A recent study that found that there is more water beneath California than previously thought would seem like great news for a drought-stricken state. A new Stanford study indicates California’s groundwater supply is three times greater than previous estimates and could represent a potential “water windfall,” its authors say. … However, water experts not involved in the Stanford study say the newly discovered supply may be too deep and too difficult to recover. Our [Stanford University] new study published this week in the Proceedings of the Academy of Natural Sciences concludes that the Central Valley has almost three times more fresh water underground than the state estimates. … Assembly Bill 1755, scheduled to be heard Tuesday by the Senate Committee on Natural Resources and Water, establishes a shared water database for surface and groundwater and water diversions. Researchers at Stanford University found what they call a “water windfall” deep beneath the Central Valley, according to a study published Monday in the Proceedings of National Academy of Sciences. Drought-stricken California might have a hidden water bonanza. Promised state funding for the increasingly costly Interlake Tunnel project in legislation backed by Assemblyman Luis Alejo, D-Watsonville, has been cut by 60 percent to $10 million, potentially risking long-term project financing. In the past 30 years, perhaps no legislative effort to bolster the state’s water policy has received as much attention as the management of groundwater. This effort lead to the expansion of water district powers, the creation of special act districts with unique powers, the authorization of voluntary plans and finally culminated in the Sustainable Groundwater Management Act (SGMA) and its trailing legislation. A ballot initiative created by a group of concerned citizens aims to alter groundwater management in Siskiyou County. Chapter 13 of the Siskiyou County Code governs the withdrawal and transport of groundwater, and section 3-13.301 does not allow the unpermitted transport of water from the county; however, “commercial water-bottling enterprises” are exempt from requiring such a permit. With this year’s storms helping to refill the Sacramento region’s lakes and reservoirs, local water district officials and state regulators are diverting and percolating stormwater from Cache Creek into the Yolo County canal system to recharge groundwater supplies used by local farmers, city residents and UC Davis. The state’s new groundwater management laws mean Californians no longer have unfettered use of water underground. Two years ago, California became one of the last states in the West to pass a law to manage groundwater. … But the bigger battle may be putting the law into practice. For anyone who doubts that we’re still in a drought, San Joaquin County’s groundwater “savings account” was even more depleted this spring than last, despite improved rainfall over the course of the winter. By this time next year a lot of work needs to be done on a regional groundwater sustainability plan. … Every big task needs to start somewhere, and this week the public is being asked to join the conversation. Chloride and nitrate concentrations are rising and arsenic levels are holding steady or falling. Those are two of the conclusions from a U.S. Geological Survey assessment of changes in the nation’s groundwater quality in the last two decades. Groundwater delivers more than half the water flowing in the Upper Colorado River Basin and needs to be protected from overuse, a newly published U.S. Geological Survey study says. The water crisis in Borrego Springs is as simple to understand as it will be difficult to solve. At the crux is farming. The group Protect Monterey County delivered 16,108 signatures Wednesday to the Monterey County Elections Department in support of putting an initiative on the November ballot to ban fracking and dangerous oil production practices in the county. Hundreds of companies have agreed to spend around $78 million on cleaning up groundwater contaminated by toxic chemicals from a Southern California Superfund site, it was announced Wednesday. Where’s the water? Somebody’s got to ask that question, state Sen. Lois Wolk says, before even more new wells can be drilled in California. 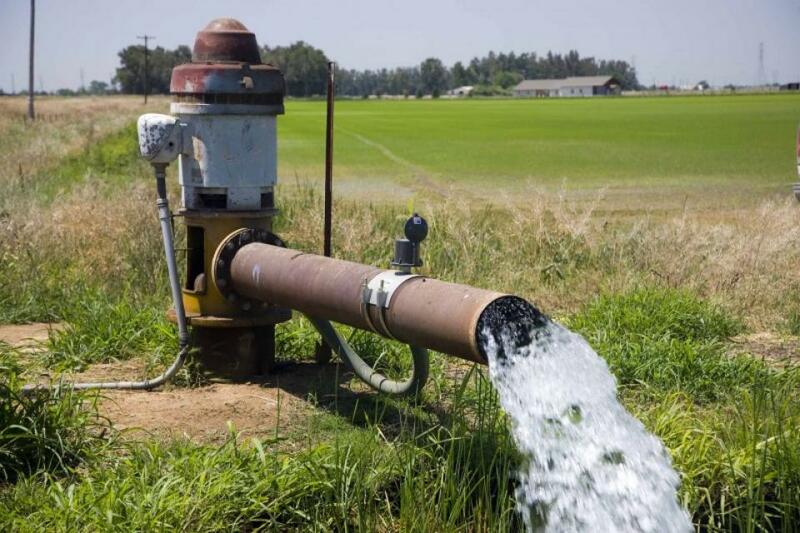 Legislation to protect California’s aquifers and groundwater resources from permanent damage due to over-pumping has been approved by the state Senate Committee on Natural Resources and Water on a 6-2 vote. Farm water managers said new rules for managing underground supplies are confusing and potentially expensive. … The regulations are slated to go into effect June 1; the state Department of Water Resources is taking public comment about them until April 1. A historic 2014 law requiring water agencies across California to replenish the state’s imperiled aquifers created a new problem: Many local officials just weren’t sure how to do it. The state of California has awarded 21 counties money from the water bond voters approved in 2014 to improve their usage of groundwater. The film, titled “Pumped Dry: The Global Crisis of Vanishing Groundwater,” was co-produced by Steve Elfers of USA TODAY and Ian James of The Desert Sun, and was supported by a grant from the Pulitzer Center on Crisis Reporting. The Department of Defense has announced that it is testing military sites nationwide to determine if perfluorooctane sulfonate and perfluorooctanoic acid – both chemicals used in foams that extinguish flammable liquids – are in sediments and groundwater around runway areas. Landowners in the Paso Robles wine country have voted down a proposal to create a new water district to manage their groundwater basin. State Sen. Lois Wolk, D-Davis, introduced a package of water measures Friday, including legislation halting the proliferation of new wells to slow the depletion of aquifers, and avoid permanent damage to the state’s groundwater resources. Warning that a drought-driven surge in well drilling is causing the earth to sag and imperiling long-term water supplies, a California senator wants to place more stringent limits on new wells. The Department of Water Resources has now released the first draft regulations to manage groundwater sustainably. The plan lays out the steps local public agencies will need to take to prevent chronic groundwater overdraft. This symposium will focus on three areas related to paying for development and implementation of groundwater projects and Sustainable Groundwater Management Act of 2014 (SGMA)-related activities; obtaining outside funding; developing the agency contribution, or “match”, and Generating revenue to implement your Groundwater Sustainability Plan (GSP). This event is sponsored by the Groundwater Resources Association of California. The Water Education Foundation is a Cooperating Organization. After suffering another year of historic drought and a State of Emergency declared by Governor Brown, California remains poised in 2016 for the extension of Emergency Drought Regulations promulgated by the State Water Resources Control Board. But will 2016 also be a year of finding and finalizing solutions for long term groundwater sustainability? 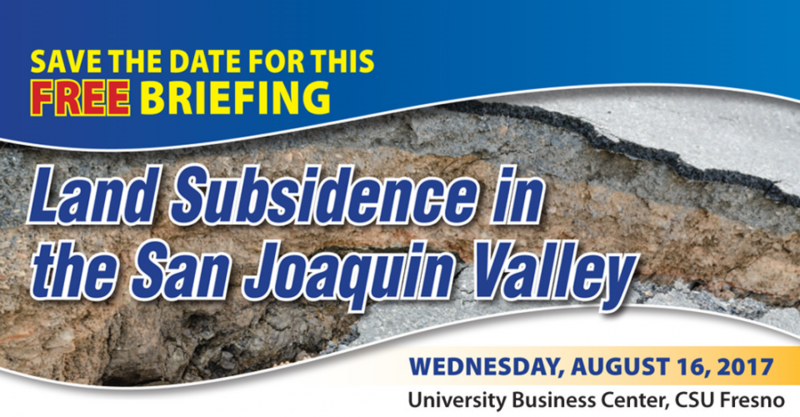 Join the Groundwater Resources Association for a dialogue on this and other subjects with California’s most influential Legislators and Administration Officials. This community’s [Hinkley] contaminated groundwater plume has shrunk by nearly half over the past four years, according to the community’s scientific adviser. The U.S. Geological Survey has begun collecting private well water samples here as part of a $5.4 million study of the area to determine how much of a cancer-causing chemical in the groundwater is man-made and how much was put there by nature. Nearly three years after the Agua Caliente Band of Cahuilla Indians sued the Coachella Valley’s largest water districts, the two sides remain just as far apart in a case that could force changes in how water is managed locally and set a precedent for similar disputes nationwide. Excessive groundwater pumping has resulted in significant overdraft of 21 basins across the state. The state Department of Water Resources on Thursday released a list of 21 groundwater basins and subbasins that are overdrafted, causing land subsidence, chronically lowered groundwater levels and, in the case of the Salinas Valley, seawater intrusion. The water bubbled and gurgled for a few seconds, and then poured out in a rush. Within minutes, a five-acre plot on Nick Blom’s almond orchard was under a half foot of water Tuesday. A farmer on Tuesday spread canal water across an almond orchard southwest of Modesto. He wasn’t irrigating the trees – the rain took care of that. He was recharging groundwater. In an effort to restore California’s desperately depleted ancient aquifers, scientists are testing an approach that seizes surplus winter rain and delivers it to where it’s most useful: idle farms and fields. This winter, dozens of water agencies across the state are counting on a drenching El Niño to produce surplus water to stash in the earth and make up for what’s been pumped out at unprecedented rates due to the recent absence of surface supplies. Water experts in Yolo County are actively monitoring water wells to measure the groundwater supply. … The groundwater supplies about 30 percent of the water in our region, according to the Northern California Water Association, which represents water rights holders in the Sacramento Valley. A canal that delivers vital water supplies from Northern California to Southern California is sinking in places. Aquifers largely remain unmanaged and unregulated, and water that seeped underground over tens of thousands of years is being gradually used up. … These are stories about people on four continents confronting questions of how to safeguard their aquifers for the future – and in some cases, how to cope as the water runs out. A new law regulating groundwater use for the first time in California is decades away from being fully implemented. But already, it is clear how difficult it will be for local water providers to comply. California’s Sustainable Groundwater Management Act, set to take effect in 2020, will limit how much groundwater can be extracted over the long haul. While details of what constitutes “sustainable” pumping are still being fleshed out, water policy experts say many farmers will gradually have their water supplies curtailed – and the nation’s leading agricultural state will farm fewer acres. Chico’s efforts to save water are showing up in an increase in groundwater levels. … The same is not true in ag-rich areas. Most of us think of the water cycle as something that occurs above ground — water falls from the sky, evaporates back into the atmosphere and then condenses into rain once again. When the California Water Commission this year surveyed water agencies about storage proposals that might qualify for funding under Proposition 1, the 2014 water bond approved by state voters, half the responses involved groundwater projects, including one from [Gary] Serrato’s [Fresno Irrigation] district. Almost 28 years since state regulators learned there was a chromium-6 problem in Hinkley, officials from the same agency approved a comprehensive clean-up order for the world’s largest known plume of this cancer-causing chemical. The governor should use his emergency powers under the existing drought to ban new wells in areas where groundwater pumping is causing significant economic damage. I [Gerald H. Meral] don’t take this position lightly. I understand it would harm people who need groundwater to keep their farms going. It’s been one year since California Governor Jerry Brown signed a landmark law to manage the state’s groundwater. The California Water Commission has approved new groundwater basin boundaries – the first major step in implementing the law. On October 9, 2015, Governor Brown completed what is probably one of the most remarkable two years in water legislation in California’s history. … In signing SGMA, the Governor pledged that during the 2014/15 legislative session, he would submit a proposal to streamline groundwater adjudications. With the signing of AB 1390 (Alejo) and SB 226 (Pavley), the Governor kept his promise. A much-anticipated “Godzilla” El Niño this winter may refill California’s drought-diminished reservoirs, but it won’t do much to restock the severely depleted aquifers we rely upon to get by during droughts. One reason for this is the sheer depth of California’s precipitation deficit – the deepest of any drought in 120 years of recordkeeping. The state has been drier than normal for 10 of the past 14 years.